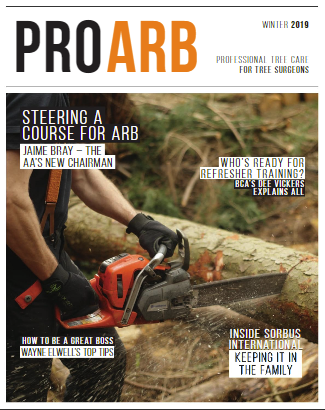 Why have you chosen arboriculture as a career? Jamie Chaundy: I’ve always been keen on a physical job, working indoors never interested me. Working in arboriculture also has many different challenges on a daily basis, so I don’t get bored! Mitchell Good: I was born into it and I really enjoy it! Lewis Gardiner: I like working outside. It’s hard work but it’s enjoyable – I feel a great deal of job satisfaction at the end of the day. I also have an interest in trees and plants and I like the variety this industry offers me, every day is different. Did you go to college? If so, where did you go and what qualifications did you get? JC: I did a Level 2 Apprenticeship in Trees and Timber at Sparsholt College near Winchester. It’s good to be around other people at the same experience level and discuss what different aspects of arboriculture are out there. MG: I’m currently attending the University of Massachusetts for Arboriculture. LG: I’m at Sparsholt College for one day a week working towards a Level 2 Apprenticeship in Trees and Timber. JC: I personally prefer the climbing jobs. I find them more of a challenge but they’re also greatly rewarding. The views from the top of the tree aren’t bad, either! MG: As an American intern, I enjoy comparing how tree work is done in England to back home in the US. LG: I enjoy the tree identification side of things. JC: I don’t have a favourite piece of equipment, but if the equipment isn’t maintained properly, it makes the job a lot harder. MG: I like using the chippers. LG: Me too, I like the chipper. JC: I would like to stay as active as possible. It would be nice to move up the ranks in the climbing side at Ringrose Tree Services. I see myself moving towards a more educational role such as tree surveying or training. MG: I’d like to start my own arb company, or move into arb sales. LG: I’m hoping to become a registered climber. Is there a structured development plan at Ringrose Tree Services for you? JC: Yes, I am working towards being a lead climber. I’m currently working with a climber with a lot of experience. I would like to train other apprentices in the future. At Ringrose we are encouraged to better ourselves through our annual training programme. MG: Yes, as an intern I am being taken through all sorts at Ringrose, starting with chipper and first aid training and hopefully ending with chainsaw and climbing training. LG: I currently receive work from college to do on site with Ringrose, and my colleagues here help and encourage me to achieve my goals.